A Learning Management System (LMS) is aimed at managing an e-learning environment, establishing the organization and delivery of content, administrating resources and tracking learning activities and results. LMS that are in use today are either commercial products (e.g. WebCT, Blackboard), or free open source products (e.g. Moodle, ILIAS), or customized (building) software systems that serve the instructional purposes of particular organizations. LMS that belongs to the first and second categories are exponentially increasing, as most education, training institutions and universities are using readymade LMS. This is due to the difficulty of the development of such systems. 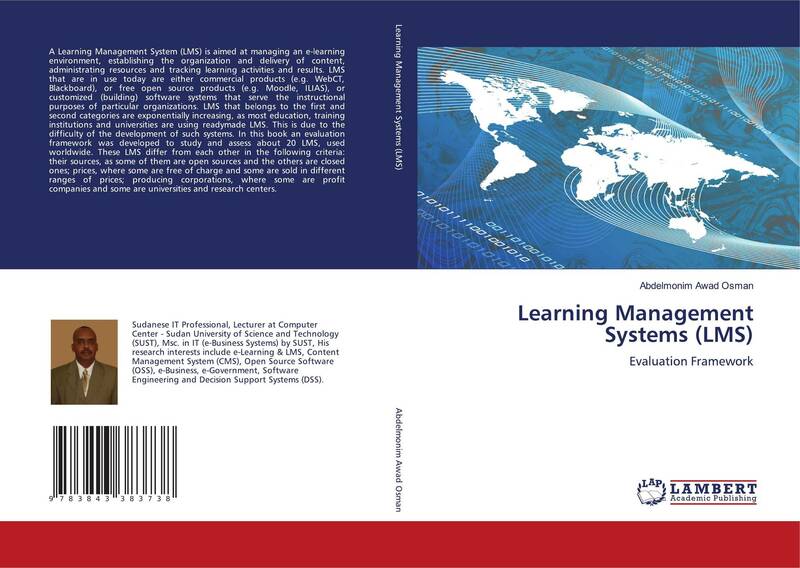 In this book an evaluation framework was developed to study and assess about 20 LMS, used worldwide. These LMS differ from each other in the following criteria: their sources, as some of them are open sources and the others are closed ones; prices, where some are free of charge and some are sold in different ranges of prices; producing corporations, where some are profit companies and some are universities and research centers.